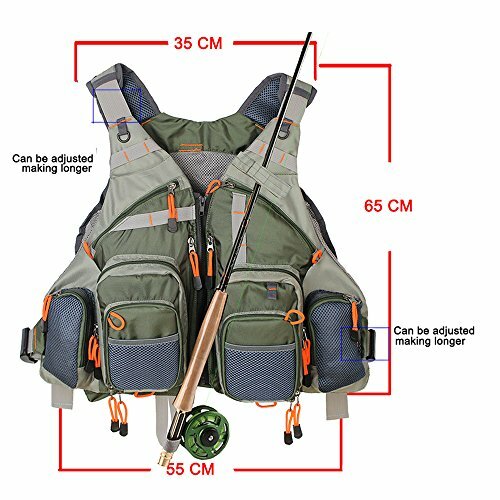 This SUPER LIGHT WEIGHT fly fishing vest allows you to have everything you need right up front were at your fingertips. 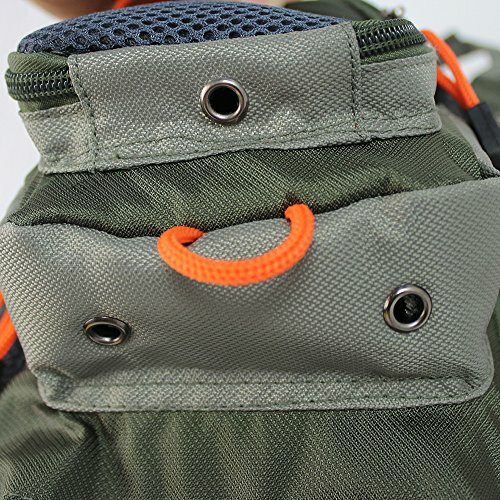 There are several pockets and compartments for everything, as well as several places to clip on to. 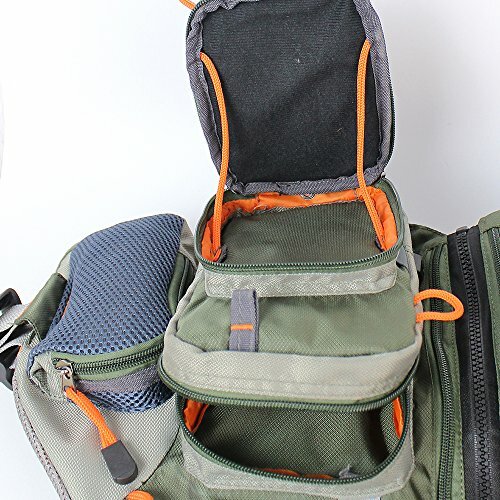 There is also a large packet in the back and inside of the fly fishing vest. The vest also has the feature to hold your fly rod hands free to do tasks. This fly vest is adjustable at the shoulder and waist to fit your size, and fits both men and women very well. 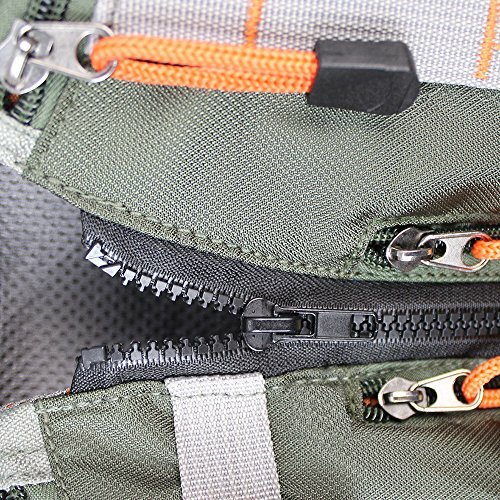 The front zips together or optionally buckles together. The fishing vest mesh back allows air to flow freely through the fabric, allowing you to stay cooler and drier even when temperatures rise. 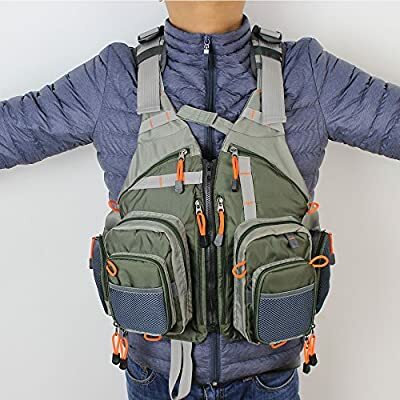 The fly vest evenly distributes weight across your chest and shoulders and its design allows you to fully move your arms.